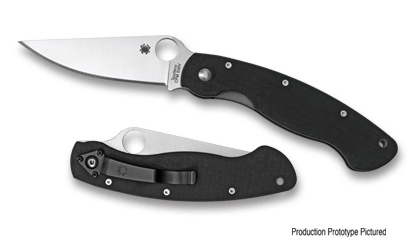 KNIFE SPYDERCO C36G is versatile and foldable series Miliary. It has a smooth sharp blade made of stainless steel CPM S-30V. There is a hole in the bearing part which serves as a lighter and easier opening. Handle is synthetic type G-10.